I couldn't be more thrilled to be the recipient of one of the highly-coveted Hot 100 spots this year! It's a list of the best of the best, and to be included is just amazing. This year's contest was even more competitive, with over 8,000 images submitted. I won under the editorial category, which made me so happy...editorial styling is certainly one of my hallmarks, and is something I've worked hard to hone. 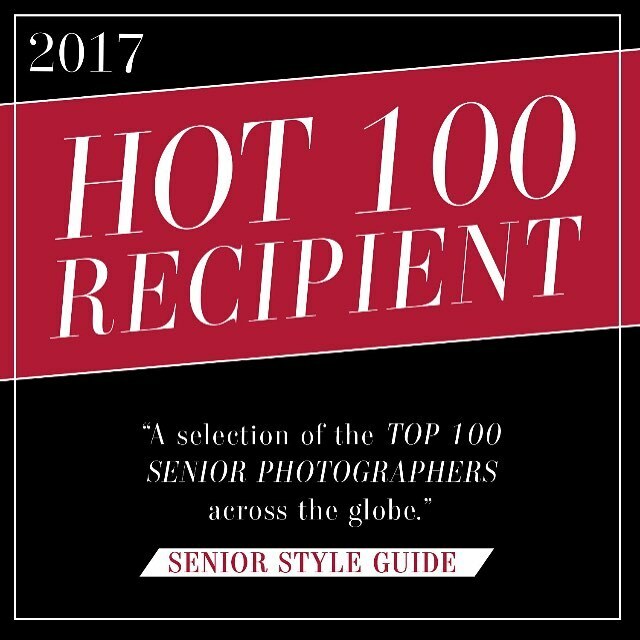 The Hot 100 list is put together by the senior style guide, which is THE resource for senior photographers, and is filled with tips and advice, as well as news and techniques that are so helpful if you're in the portrait industry. This year's judges included Devon Jones, True Moua, and Thomas Nguyen, all of whom are highly respected, and some of the most incredible photographers around. My winning image will be revealed on November 15th, and I'll be sharing it here, so stay tuned!